There are certain ingredients commonly found in cosmetic and skin care products that are generally known to be beneficial to the skin. Vitamin C is one of those ingredients that consistently gets praised for being nothing short of amazing. Naturally, the best way to consume this to eat it! Oranges, limes, grapefruits… all full of Vitamin C’s! Cosmetic lines consistently promote having Vitamin C in their products. Looking through the ingredient listing can be difficult as ingredients are often not clear. Vitamin C comes in various forms and different names, including ascorbic acid, L-ascorbic acid, ascorbyl palmitate, sodium ascorbyl phosphate, retinyl ascorbate, tetrahexyldecyl ascorbate, and magnesium ascorbyl phosphate. The primary difference lies in the percentage of the ingredient included and the consistency of the product itself. In your average beauty department, you will be able to find Vitamin C ranging between 0.3% and 10%. There is no ‘best’ product, as the skin type and conditions make all the difference in what you will individually require. Vitamin C protects cells and the skin’s support structure from UV rays and damage; it also helps improve the appearance of sun-damaged skin. Vitamin C’s are ideal for hyperpigmentation and sun spots, when the product contains a dosage of 3% or higher. It helps promote the skin’s naturally occurring collagen, essentially leading to fewer fine lines and wrinkles, and an overall healthier complexion. When doing facials, microdermabrasions or peels, Vitamin C’s help enhance effectiveness. Dr. Patricia Farris nicely sums up how conclusive research supports the positive effects of vitamin C, stating, “A significant body of scientific research supports the use of cosmeceuticals containing vitamin C. Cutaneous benefits include promoting collagen synthesis, photoprotection from ultraviolet A and B, lightening hyperpigmentation, and improvement of a variety of inflammatory dermatoses.” Overall, Vitamin C is a phenomenal anti-oxidant ingredient to add to your skin care regime. 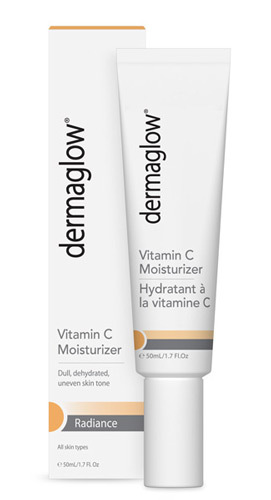 Dermaglow Vitamin C Moisturizer is great for normal to combination skin types that are uneven, dull or scarred. Skin will be gently exfoliated and will appear overall brighter. For combination to oily skin types this moisturizer is ideal for night use, as it is medium weight and moisture rich, therefore it does not help with oil control. Its blend of strawberry, grape and orange extracts helps reduce the appearance of fine lines and wrinkles while it works below the epidermis (top layer of the skin) to help fight hyperpigmentation. The Body Shop Vitamin C Daily Moisturizer with SPF 30 is a great daily moisturizer for dull skin. It is lightweight and ideal for normal, combination and combination/oily skin. The SPF 30 is a great addition, as it provides UVA, UVB and broad spectrum sun protection. The SPF and the lightweight formula are a great combination for oily skins as it will create a healthy, radiant glow without excess oils. The Amazonian camu camu berry are known to contain some of the highest content of Vitamin C in nature, and it helps encourage elastin and collagen production in the skin, while protecting from free-radicals. It also contains sesame seed oils to help hydrate the skin. 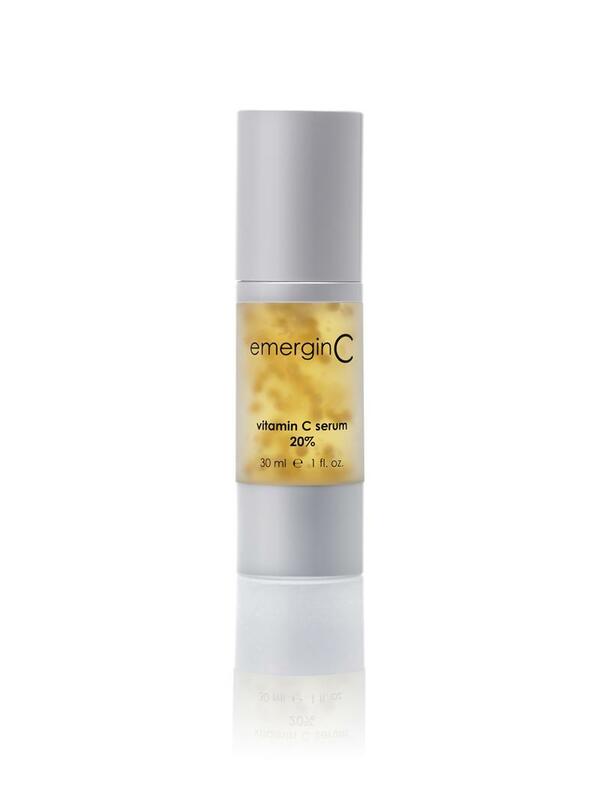 The Emergen-C Serum contains 20% Vitamin C, the highest grade available for sale cosmetically. While this serum needs to be used with caution and applied gently to the skin, its benefits are phenomenal for fighting fine lines, wrinkles, uneven skin tone, scarring, hyperpigmentation and helps the production of collagen. This treatment is rather costly and is best applied once a day, at night. The high percentage of Vitamin C will make most skins photo-sensitive, therefore wearing it throughout the day is not ideal. Because it is a serum, its consistency will penetrate deeper into the skin and ensure that the moisturizer following will be more effective. use of chemicals causing the eyelashes to grow. When you have longer and stronger eyelashes, this also helps in protecting your eye from foreign debris such as dust.